It has been an amazing year with many wonderful life-long memories created and this week we have done so much to round off the year in a positive way. Yesterday we celebrated our sport at Colney Heath with children being recognised and awarded for their dedication, self-belief, determination and teamwork. 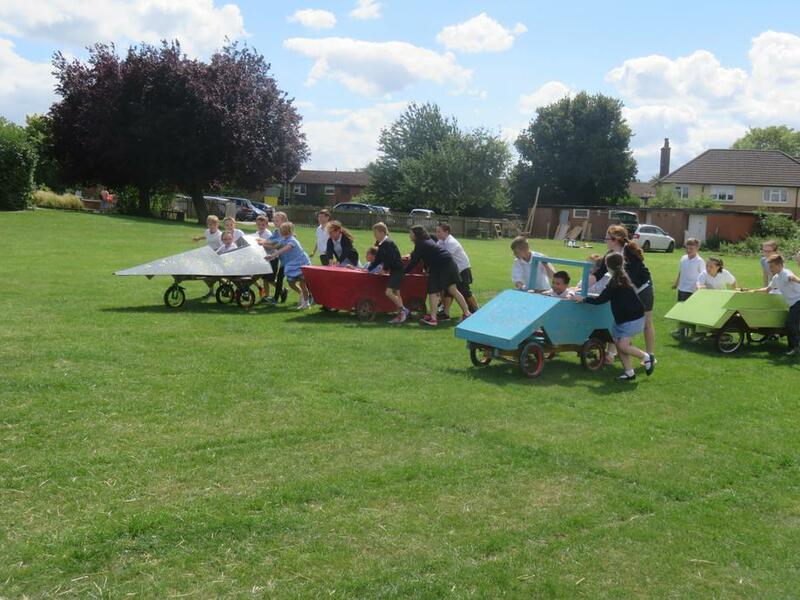 In the afternoon we had a soapbox go-cart drive past with each house team showing off their vehicle, I'm sure your children will fill you in on all the wonderful things that they have enjoyed. Wishing you all a wonderful restful and happy summer. It would be great to see the children taking part in the Summer Reading Challenge (www.summerreadingchallenge.org) which is way to ensure they continue to read over the holiday. Ensure your children have the correct school uniform, including indoor shoes and everything is labelled. Dinner money accounts are in credit. Hair is checked for nits. Any changes in address, phone numbers or emails have been given to us. Term Starts Tuesday 5th September. Remember to arrive on time ready to start in your new classes.